Less than 24 hours after the reveal that Doctor Who’s eleventh series will begin on 7 October – or 8 October for those of us in the land Down Under – Sharmill Films has confirmed there will be cinema screenings of the episode all over Australia. 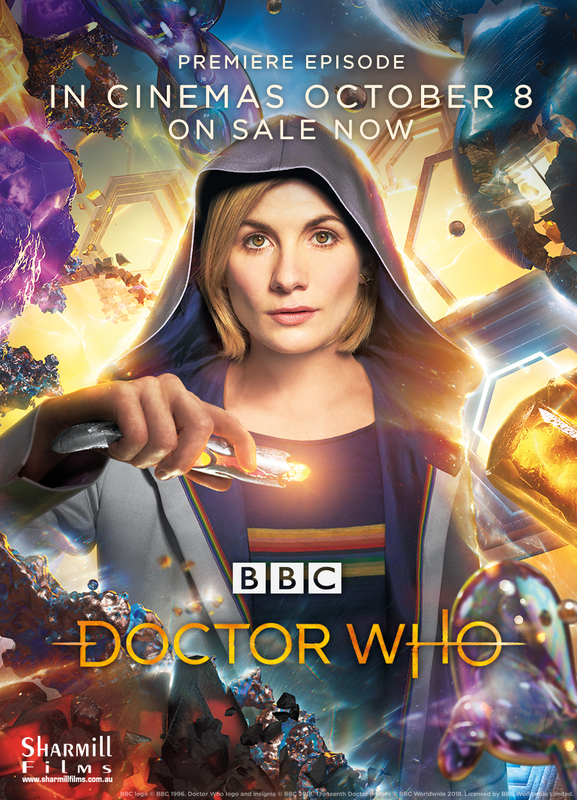 According to the official cinema poster, the first episode of the series – titled The Woman Who Fell to Earth – will be in cinemas on 8 October, the day of its Australian television broadcast. Participating cinemas are listed on the Sharmill Films website, with tickets on sale now – simply check the list for your nearest cinema, go to that cinema’s website and search for “Doctor Who” to see what time the episode will be screening near you. The DWCA will also be organising gatherings to attend screenings in the vicinity of our various local groups – including the chance to chat about the episode over dinner afterwards – so please check our event calendar in the lead-up to the screening day to see what’s happening near you. In other news, Whovians host Rove McManus has announced that the beloved Doctor Who panel show will be back with a new series, to be broadcast on ABC Comedy on Monday nights beginning 8 October. McManus specifies that Doctor Who itself will be shown on ABC’s main channel, with Whovians to follow on ABC Comedy. There is no word yet on how the new series will affect the ABC’s traditional Monday night line-up of news and current affairs programming, but as soon as we have a screening time we will let you know.